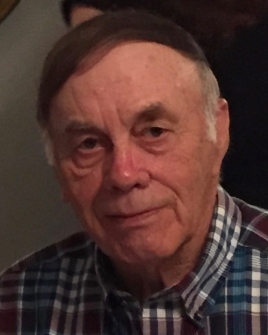 Mr. Albert Ray Dawson, age 78 of the Claymour Community, passed away at 5:40 PM, Thursday, December 27, 2018 at St. Thomas West Hospital in Nashville, TN of natural causes. Services for Mr. Albert Ray will be 11:00 AM Monday, December 31, 2018 with Rev. Mike Dukes and Rev. Roger Skipworth officiating. Burial will follow in the Pleasant Hill Cemetery. Visitation for Mr. Albert Ray will be 5:00 to 8:00 PM Sunday at Latham Funeral Home and from 10:00 AM Monday until time for the service. Mr. Albert Ray was born September 26, 1940 in Todd County, KY the son of the late Morton Albert and Mable Mae Greenfield Dawson. He was a farmer and retired from Natural Resource Conservation Service as an Engineering Technician. He was ordained as a Deacon and was a member of Green Ridge Baptist Church. Mr. Albert Ray was survived by his wife of 58 Years, Bettie Boley Dawson of the Claymour Community; his son, Rev. Gary Dawson and his wife, Debi of Trenton, KY; his brother, James Lee “Jimmy” Dawson and his wife Rebecca of Lincoln, Nebraska; his sister, Glendora Outland of Elkton; his grandchildren, Seth Dawson and his wife Kaitlyn of the Claymour Community and Sandi Poor and her husband, Richard of Hopkinsville; his great grandson, James Randell Dawson. The family asks that donations be given to the Sunrise Children’s Home, P.O. Box 1429, Mt. Washington, KY 40047.